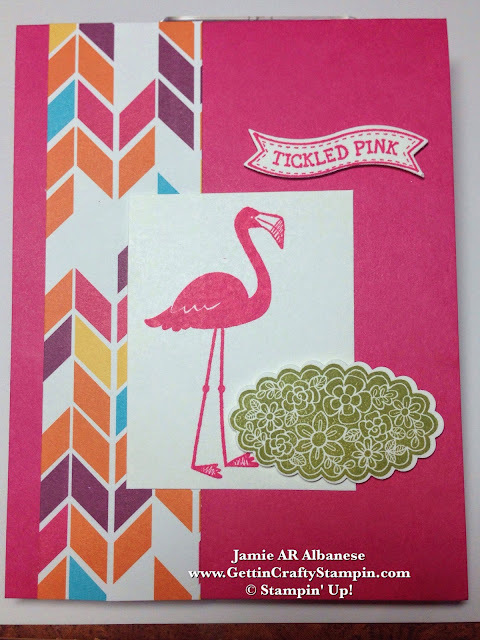 I'm 'tickled pink' to be on vacation and still hosting a card making class at our resort!! 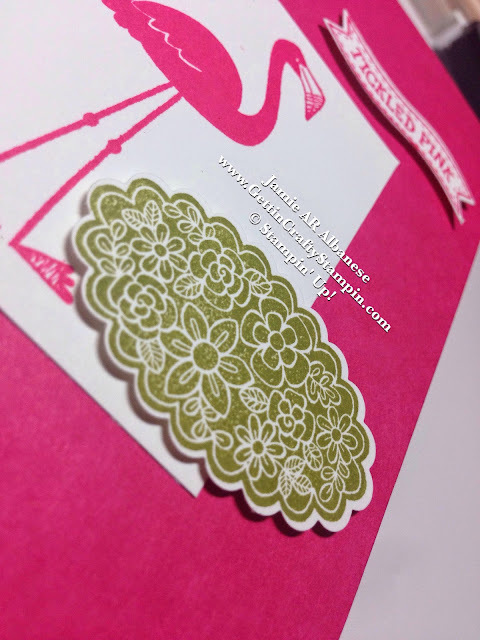 So this fun card was from our recent card class and was a blast to create!! 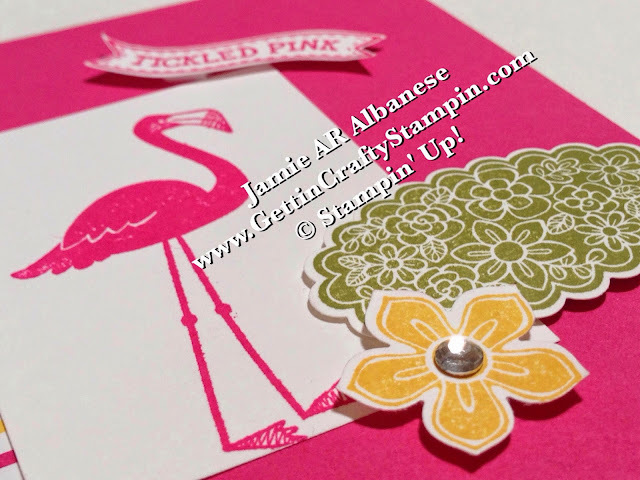 With a fun hand-stamped Melon Mambo flamingo from the Ronald McDonald House Charity 'Flamingo Lingo' stamp set - it's full of color and fun!! With coordinating punches and framelits are an easy way to make your card 'pop' - with the Scallop Oval Punch for this Old Olive stamped bush. The Flamingo Lingo has the cutest sentiments in a banner format and coordinates with the Bitty Banner framelits. Simply lay your stamped sentiment on the Magnetic Platform - the Bitty Banner Framelit will stick right where you want it! When you attend my class I encourage creativity - here adding the fun flower was a pretty way to decorate the card. Using the Petite Petals punch that perfectly coordinates with this stamp set is a great way to easily punch out some fun!! Add a dash of bling - here the adhesive backed Rhinestone Jewels makes for a pretty and elegant addition to this colorful hand-stamped card.